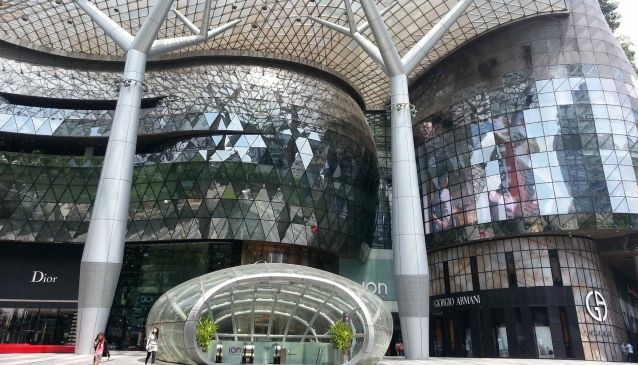 You will not miss Ion's signature futuristic architecture as you stroll down the Orchard shopping belt. The astounding building has won two prestigious awards and will catch your eye with its outstanding, blinking front view and impressive entrance. The 8 level of shopping space consists of mostly international brands and popular high street fashion and lifestyle stores chosen meticulously for their strong branding and innovative retailing concepts. The 6 duplex flagships includes Cartier, Louis Vuitton, Prada, Dior, Giorgio Armani and Dolce & Gabbana. Be all ready to shop till you drop! 4 concierge counters are available on Basement 3, Level 1, Level 2 and Level 4 with Sistic services and complimentary cellphone charging facilities. There's also a Singapore Visitors Centre at the concierge counter, level1.